Halloween just got a little bit easier. Especially if you can't decide or need multiple options for costumes or looks. Get that perfect touch for witches, raggedy ann costumes and so much more. 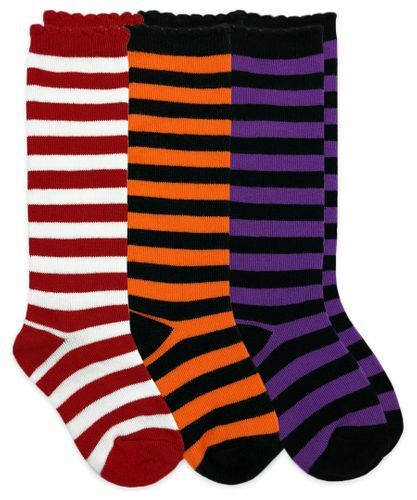 These cotton blend socks will also keep little legs warm as the night begins to cool down.